White House condemns fatal knife attack in central Paris, Trump calls for changes to thought process on terror. The White House on Sunday night condemned the fatal knife attack which took place in Paris on Saturday. "The United States strongly condemns yesterday’s terrorist attack in Paris. Our thoughts and prayers are with the victims and their families," read a statement quoted by The Hill. "We stand in solidarity with the French people and their government against this vicious act of terrorism, and pledge any assistance needed. Acts like this only strengthen the resolve of the global coalition to defeat ISIS and drive it out of existence," it added. President Donald Trump later also reacted to the stabbing attack in Paris. “So sad to see the Terror Attack in Paris. At some point countries will have to open their eyes & see what is really going on. This kind of sickness & hatred is not compatible with a loving, peaceful, & successful country! Changes to our thought process on terror must be made,” he tweeted. The attack occurred when a knifeman shouting "Allahu Akbar" killed one person and injured four near the city's main opera house in an area full of bars, restaurants and theaters. The Islamic State (ISIS) jihadist group later claimed responsibility for the attack, saying in a statement on its news agency that the terrorist was “a soldier” of the organization. Authorities on Sunday said they were still working to determine the veracity of the claim. The suspected attacker was revealed on Sunday to be a Chechnya-born Frenchman known publicly as Khamzat A. French media reported his last name to be Azimov. According to the French government, the suspect had been on a terrorism watchlist since 2016. France has suffered a string of terrorist attacks in recent years. In March, three people were killed in a shooting spree and hostage siege in southern France, which was also claimed by ISIS. ISIS also claimed two attacks in France last year: The April 20 shooting of a policeman on Paris's emblematic Champs Elysees and an October 1 attack in the Marseille railway station that killed two people. 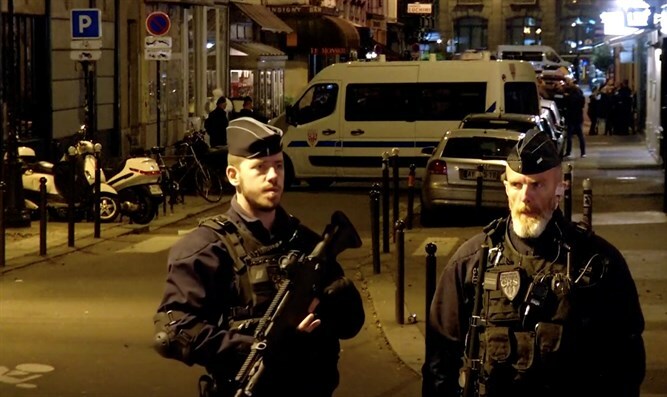 The biggest attack in France in recent years was the attack in November of 2015 in which 129 people were murdered and which was also claimed by ISIS.